Vesicoureteral reflux refers to the retrograde flow of urine from the bladder into the ureter(s) with filling or voiding. Reflux in itself is benign, but the reflux of infected urine can lead to pyelonephritis and subsequent renal scarring. High-pressure reflux in patients with neurogenic bladder can also lead to renal injury. Because most cases of reflux resolve spontaneously over several years, the initial management of reflux is usually medical—preventing infections with antibiotic prophylaxis and treating underlying conditions such as constipation and voiding dysfunction that may predispose to urinary tract infections or propagate reflux. Surgical intervention is generally considered for children with breakthrough infections despite prophylaxis, children with highgrade reflux (which is unlikely to resolve spontaneously), or for children who cannot tolerate or comply with medical treatment and periodic testing. The standard surgical treatment for vesicoureteral reflux is ureteral reimplantation. Historically, this has been accomplished by transvesical approaches with either a cross-trigonal (Cohen) or orthotopic (Glenn-Anderson or Leadbetter-Politano) creation of the new intramural tunnel. Ureteral reimplantation is a well-established technique with a high success rate of greater than 95%. 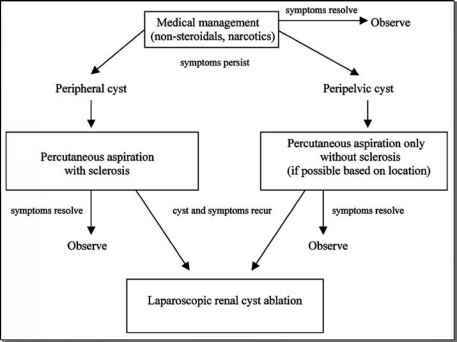 Failures usually have persistent reflux or, less frequently, ureteral obstruction requiring reoperation. To minimize the morbidity of the operation, an extravesical approach has been developed which allows ureteral mobilization and reimplantation without opening the bladder. In theory, this decreases the irritative voiding symptoms and hematuria that accompany a transvesical approach. However, there have been occasional patients with prolonged urinary retention following the extravesical approach. Both intravesical and extravesical open procedures have evolved to the point where many patients may be discharged the following day without a catheter or drain. However, there is still significant postoperative pain, and school-age children usually require recovery at home for one week before returning to school.